One of the oddities of covering breaking news is that you receive the odd “poison pen” e-mail. 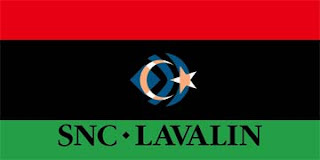 Specifically, while La politica es la politica has covered the Cynthia (Cyndy) Vanier affair we have been receiving e-mails concerning SNC-Lavalin, the Canadian engineering firm that contracted Ms. Vanier for a “fact-finding” mission to Libya. Ms. Vanier is now in jail in Chetumal, Mexico, accused by the Mexican authorities of being the ringleader in a scheme to bring fallen Libyan dictator Moamer Gaddafi's third son, Saadi Gaddafi, 38, to Mexico. La politica es la politica has conducted extensive interviews with people familiar with Ms. Vanier and her circumstances. Whatever one may think of the amount of money she was paid, and the work she was doing, one thing is now clear to us: the Mexican authorities and INSET, Canada’s “Integrated National Security Enforcement Teams”, have been sent on a wild goose chase. And, in chasing that goose – and in mixing our metaphors to show how confused everyone is about what the hell is going on – the Canadians and Mexicans alike have been chucked down the rabbit hole by one unreliable source, Gary Peters, who provided “CP” (close protection) to Ms. Vanier in Canada and Libya. 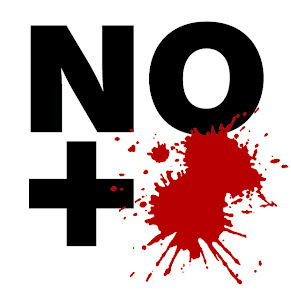 La politica es la politica will in due course lay out the broader story that confirms Ms. Vanier’s innocence, but for now we have to make do with a poison-pen report on that sloppiest of Canadian companies, SNC-Lavalin. The multi-billion dollar company is in the midst of a class-action suit for “alleged misrepresentations”, which is code for the recent revelation that its construction wing booked $35 million in undocumented payments last year. So, what have the poisoned pens been telling us? Surprise: Former SNC-Lavalin executives Stephane Roy and ben Aissa did not resign – they were forced out, as have been many executives in the past. Officially, sure, they were given the option to resign, and they took it. But it was either resign or get fired; there was no door number three that represented a continued career at SNC-Lavalin. As an SNC employee on the Benina Airport project at Benghazi I'm starting to understand now why we were fed stale Fruit Loops for breakfast on a half billion dollar project and why the Gaddafi project manager had two inch white shag carpeting in his construction project office and his own marbled floor/walls etc in his private eating facility. I understand now why we were not evacuated before 24 Feb 2011 (which SNC had no part in btw, we managed our exit on a British warship via SAS). Saadi Gaddafi would have been reassuring SNC that they would slaughter all the protestors and there was no need to evac all employees. He was in Benghazi during this time. And despite our belief in Cynthia (Cyndy) Vanier’s innocence in the non-plot to bring Saadi Gaddafi to Mexico, we can’t find much disagreement with this next post, which points to the absurdity of attempting to mediate the conflict between the Gaddafis and the rebels, and of accepting any “evidence” and “testimony” in areas held by the regime, in which authorities could manipulate a terrified populace to perform on demand. This resulted in poor analysis of the role of NATO, too, which is offensive to those citizens of member states who are proud of the role played by their armed forces. This report Ms Vanier created is just nonsense, I have a copy. Now I say that because I worked closely from April thru August with people who were on the ground in area of Jalu (gialo). I worked closely 24/7 with German contact calling in air strikes when Gaddafi thugs were attacking Jalu (I recall 30 April first strike when NATO hit convoy of 45 vehicles and the last strikes in August) but NATO did not publicize these actions. I transferred ground GPS coordinates to 'eye in the sky' (23 sat passes per day) for verification then they forward to NATO planning. All the Libyan people thank the countries who supported the no fly and the air strikes to prevent killing by Gaddafi of more citizens. I have documentation of times when hospitals and schools were used by Gaddafi soldiers to hide ammo and tanks and to hide from NATO which were then hit by air strikes. There were no patients or children in these places it was the thugs. In fact I have been told of times when pilots (Canadian, for example) refused to complete a bombing mission because of sighting of civilians in this area. Gaddafi would plant evidence for example clothing and little child toys. In some cases even the body of civilians that Gaddafi had killed was placed at these bomb sites. It is propaganda that Ms Vanier created for the regime. It’s all about the money, everything is about greed and power. This bodyguard says he was well paid and look at how much she submitted for...Almost half million dollars?? For what? This report? Nooooo...This Mr ben Aissa, bad news this guy, he stormed into our safety manager’s office one day and screamed at him for 30+ minutes. He is the main problem and Gaddafi supporter for the money and you will see big bribes and payoffs exposed I hope in the future. For what it’s worth, that email came in before SNC-Lavalin started its investigation into the $35 million improperly “expensed” from its construction arm. Yes we were fed a bowl of Fruit Loops for breakfast for weeks (yes, I do have photos ha ha) and when they are all gone then a banana for breakfast. This is a major construction project but all management is from Tunisia so I think maybe Montreal can’t know what we are being fed. When some guys from Montreal office came to visit in January 2011 they seemed shocked at what they eat for breakfast (6am) then wait till noon for some real food. So maybe somebody skimmed off from the food budget, this is what I think. I will say the Tunisian people I worked with were very good people, it was management who were a problem. Then of course on 20 Feb we were overrun at Benina by militia and everything taken food, vehicles, and all heavy equipment placed on runways to prevent more mercenaries from landing so maybe that saved us. My question has been why SNC would hire this woman who knows nothing about Libya to travel in July to view these sights and create this report of propaganda when all along there are still SNC employees who are in Tripoli who could accurately tell Montreal the security situation? By July everybody knew the regime was going down...it just seems so odd to send this woman. Maybe a report is just an excuse to be there? Why did Roy decline to pay Ms Vanier for this huge bill of $395,000 and say that her work was unsatisfactory or incomplete? And what was this huge bill for? I think SNC did know what the situation was in Libya during July and perhaps they hire Ms Vanier as a decoy to get Peters into Libya so they can try to remove the family to safe location. This could be arranged or financed by ben Aissa because of this close association. That makes some sense, except that it assumes SNC-Lavalin actually cares about anyone, and there is little evidence to support that. In fact, with the regime on the way out, one wonders why they would bother with Saadi. Unless, of course, ben Aissa was freelancing his own interests, and on SNC’s deep pockets – he knew that Saadi still had piles of money stashed somewhere, and was therefore happy to extend a lifeline via Gary Peters (though La politica es la politica has some evidence that Mr., Peters possibly did not drive Saadi to the border with Niger). ...this report is not worth anything it’s just propaganda that the bodyguard or regime would request her to write to make it appear NATO was killing hundreds or thousands of civilians and children. I remember getting reports that NATO was using precise guided kinetic concrete bombs to hit tanks in Tripoli so there was no damage to surrounding buildings or people. Remember all the western media was being confined to the Rixos hotel so they could not report what was really happening. Everything points towards ben Aissa masterminding all this and maybe Ms Vanier was blinded by the thought she could make a lot of easy money through a connection with this bodyguard. She just seems like the wrong person to be travelling into a war zone, I think this bodyguard must have convinced her everything would be fine and she would make a lot of money from Saadi to tell a story of lies to convince govts to stop supporting NATO actions. There is a lot of common sense in that email, but it might give too much credit to Gary Peters. In fact, La politica es la politica knows that Gary Peters was stripped of the contract that Cynthia (Cyndy) Vanier had with SNC-Lavalin – both she and SNC-Lavalin were unhappy with his work, particularly after his second trip in August, when he claims to have taken Saadi to the border with Niger. That is perhaps not possible: Saadi was moved there on September 11 when Mr. Peters was by some reports back in Cambridge, Ontario, and under INSET scrutiny. Mr. Peters has refused to sign a statement of facts for Ms. Vanier’s lawyer. And he has been caught out on many lies, one of which is a claim by the New Zealand-born Peters, who grew up in Australia, that he trained with the Australian Army. We have, now, the beginning of a motive from the one man demolition crew that is Gary Peters: he’s been cut off from the gravy train, and blames Ms. Vanier. Suddenly, Border Services is ripping planes apart and “anonymous” is leaking information to the Mexican government. There is much, much, more to this, and much that La politica es la politica has that it is not releasing, including an explanation for the forged Mexican documents. But we must wait until more dots are connected. The truly sad part of this story is that a life – lives, really, because an entire family is being affected – are being wrecked because the Mexicans and the Canadians can’t get themselves down from the magic tree they’ve grown and then climbed into. I know people from SNC who worked in Libya for years are not happy about Gaddafi being removed because now they don’t know if they can return to work. They are all blinded by money. I hope all the truth surfaces and these people will be punished if they are proven to have committed crimes. I feel sorry for these parents of Ms Vanier as they must suffer terrible to see her in a Mexican prison and now her financial problems will destroy her business. This bodyguard must know how much wealth Saadi was able to carry to Niger...gold, US currency etc...all these tons of gold Gaddafi had, even some hidden at the Tripoli airport....money money money greed... all stolen from Libyan people. There is more to come from the poison pen(s). Stay tuned. I agree the truth needs to be told. Starting with the fact that Gary Peters DID indeed train with the Australian army. And by refusing to give a detailed report concerning his movements to Vanier's attorney, he IS doing his job. It was a CONFIDENTIAL undertaking, and by giving the attorney a report he would indeed violate the confidentiality of this job. Well, JezaBitWykyd, Mr. Peters already violated confidentiality when he spoke to Paul Copeland. Mr. Copeland only wanted Mr. Peters to sign a statuatory declaration based on what Mr. Peters had told him - and then Mr. Peters balked. Mr. Peters' phone lines are disconnected, and he does not respond to email. La politica would love to talk to him - we have some questions about the exact date of his trip to the border with Niger, what hospital treated him for his supposed "gun shot" wound, and when/where he went to Mexico in early 2011. Does Canada Border Services have a record of that trip? Just asking. He claims to have been a "soldier" (no rank) with the Royal australian Army for 14 years, but says also that "years given are not years served due to security issues". WTF?! Then there is a long list of his "security and field survival" skills. However, according to the Australian Broadcasting Corproation, there is no record of ANY service by Mr. Peters in the RAA. He really should give us a call. So then until he does call you, you will continue to destroy his name? WTF? So then why don't you cough up the documents for all to see where you are getting your info? How are any of us to know whether you are telling the truth or just spewing a ration of what YOU want the public hear. Let us see your proof that what you are puting out here for us to read is the absolute truth. How do you know what Mr.Peters told the attorney? Maybe instead of plagiarising you should get concrete proof of your own. In your words "Just asking" wheres your proof what he says is not the truth and what you say is? Just asking. I'm anxiously waiting your reply. La politica is not "destroying" Mr. Peters name. In the past four months, we have written many things that are unfavourable to Ms. Vanier. We may yet write more. Yet we have had direct communication from those who would defend her. Mr. Peters is deliberately avoiding communication. When he says he was a soldier in the RAA for 14 years, yet the ABC can find no record, then, sorry, that is what gets reported. That is not "plagiarising". There is far more that could be said about Mr. Peters, and that INSET is not aware of, including a possible motive for him leaking information, but La politica has NOT reported on that. Four people are sitting in Mexican jails. One, a Canadian citizen, has had all banking frozen in Canada partly due to public statments made by Mr. Peters. A Canadian lawyer in good standing with the bar has said that Mr. Peters AGREED to sign a statuatory declaration, then reneged. There was then no mention of confidentiality which, any observer of this situation would agree, could have only applied to SNC-Lavalin and/or Saadi Gadhafi. Mr. Peters has alluded to a plan to move Saadi G to Mexico, and a trip also that Mr. Peters took to Mexico. That was never confidential before, I don't see why it is now. Yet we don't know where/when, which is crucial information - the Mexicans don't seem to know, either, having confused Ms. Vanier's house in La Cruz with a Gadhafi "safe house". So, it seems they have no record of a trip by Mr. Peters to Mexico. If Mr. Peters wishes suddenly to stand on principle with regard to confidentiality in relation to SNC/Saadi, be our guest - defend those bad actors. But, if, as he has said, Ms. Vanier got in trouble playing with the "big boys", perhaps he could clear his own name instead of laying low others who can't defend themselves. The truth is, the media have never asked Mr. Peters hard questions, which is why this conversation is happening on a message board. Tell him to grow up. Call us. We don't bite. As I said previously show me your proof that what you are saying is true. As for telling him to grow up and call you, I'm sure the message will get to him. It's not that I have any interest in Mr.Peters, this is what I think you are failing to understand in my replies. The people of this world we live in tend to believe EVERYTHING they read in news print. I would for once like one of you writers who put this in print to be able to back it up with documented proof that what you are puting out there for everone to read is true. I'm not asking for anything more from you than you are from Mr.Peters. Wouldn't you agree? I have no political interest whatsoever regarding this matter, or any interest in anyone who is involved in it. I just think that when you put into print what someone else says is true that you should be able to back it up. As for your writing in your words "we have written many things that are unfavourable to Ms. Vanier." I have no idea, I was asked to do some research regarding Mr.Peters by a mutual friend of he and I. Your article was top of the list, but far from being the last I will enquire about, be assured of that. I am only asking you to provide proof of what you are writing is true. Nothing more, nothing less. I will anxiously be waiting your reply. This is going nowhere. I have made no specific accusations against Mr. Peters other than that his own statements are contradictory. I am waiting to talk to him to compare information. However, HE WON'T TALK TO ME. The people who are in jail have difficulty speaking on the record as it can compromise their defense. The media, in fact, has taken Mr. Peters at his word. Read the Post, Globe, Star, CBC...No one, however, has asked him questions based on other sources, because they had no access. So he gets a pass. He is happy to speak to those outlets that don't challenge him, or that don't have contradictory information. He has admitted to being part of a plan to bring Saadi Gadhafi to Mexico, but no-one has asked him questions specific to this. Clearly, the house the Mexicans believe was Saadi G's "safe house" was in fact Ms. Vanier's house in La Cruz. You want "proof"? READ THIS BLOG! We have an entire, well-sourced post on why the La Cruz house could not be for Saadi G. It is well "backed up" with third party interviews. I WAS IN MEXICO, ON SITE, INTERVIEWING PEOPLE. I want to know - When did Peters go to Mexico? Where was this supposed property? He has spoken of this before, but now it is "confidential". As well, I want to know dates for the Niger trip, as they contradict other sources with regard to the INSET interview in Cambridge. And lots more, too, that I am not posting here. So, if he is unwilling to answer such simple, specific questions, then he has no right to be protected from speculation, especially if his "confidentiality" is to a man wanted by Interpol. Look at what is happening to the people in jail in Mexico? Speculation on their motives etc. is rampant. Yet, Mr. Peters, who refuses to contact us, is somehow supposed to be allowed to live in a bubble of his own making. OK. Let me start over as I have went back to your previous posts and the to some of the links provided therein. Why do you want to talk with Mr.Peters? It would seem this all stems from the incarceration of Vanier. Is this correct? The fact that he will not sign a statement for Vanier's attorney? Or is this due to the fact Peter's helped Saadi escape into Niger? I may be taking your blog wrong by thinking you are reporting this because of what you think is the unfair incarceration of Vanier. Is this to help Vanier or ruin Peter's? Anxiously waiting your reply. It is not to help or ruin anyone. There are three main players in the entire scenario: Vanier, Peters, and SNC-Lavalin. I have had some communication with the Vanier family, but none at all from Peters or SNC (other than "poison pens"). In the mainstream press, Peters has been quoted extensively, yet part of his account contradicts what the Vanier "camp" has told me, and what he himself has said. His comments vary. He told ABC that the Niger extraction was his idea, not Saadi's, but then I read in the French-language press a quote that has him saying it was paid for by a nameless group of "Europeans and Libyans". 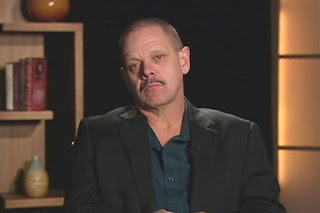 He is a soldier in the Australian Army, but it is so top secret that there is no rank or record. He went to Mexico as part of a legitimate plan, in which he says Ms. Vanier was in charge of documentation, yet this would pre-date her contract with SNC-Lavalin. Etc. etc. etc. Tons of stuff. Like you, I want the truth. To get it, I need to ask questions of those involved! 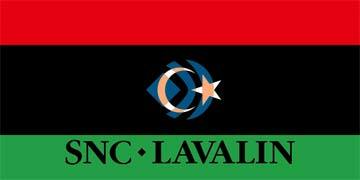 SNC-Lavalin hired Vanier to go on a "fact finding" mission to Lybia and provide them with a report. Right? Vanier in turn hired Peters as security for said mission to Lybia. Right? I'm just trying to get all the ducks in a row here. Did Vanier complete the job SNC-Lavalin hired her to do? Did she return to Canada following her trip to Lybia for which Peters provided the security, before going to Mexico and being detained? And did Vanier have dealings with Peters prior to the Lybia trip? Anxiously waiting your reply. I believe your statements are mostly correct. Vanier knew Peters as he had been hired through a third party to provide CP in Attawapiskat, ON. Vanier's Libya mission, however, was not complete: there is a $395,500 invoice outstanding to SNC-Lavalin, and additional work was apparently expected. Vanier did hire Peters to go to Libya, but there are conflicting accounts as to who got the ball rolling, and how. Peters may also have been released from further work with SNC and Vanier after his second trip to North Africa in August (still don't know who paid for that, or why). Okay so then I guess the next thing to ask you is: are these blog posts aimed at getting Vanier's name cleared, corrupt Mexican law enforcement and officals thrust into the limelight, or finding out info on Peters, ie: who funded his movements? I am giving you the benefit of the doubt after having read the previous posts that can be accessed on the upper right hand side of this page. So I guess I'm trying to nail down your agenda regarding who forged the bank documents in Vaniers name, SNC-Lavalin, Vanier and Peters. What is it you are really trying find out? I have been told that Peters is in the hospital, which I am tyring to confirm, but have no reason to doubt the information or its source. I also have people working on confirming Peters military background in Australia. And you say you are just repeating what others have trust out here for the rest of us to read, then who is the first to say that Peters never trained with Australian Army? As I am trying to confirm this as well. Anxiously waiting your reply. Your comments are a little confusing to me as they assume I have some sort of hidden agenda. I don't get paid for this, though I am paid when I write for other news organizations. If you look at this blog, you will see that I report on a wide range of issues unrelated to this story (For example, I am now investigating the murder of a gringo in Puerto Vallarta). The SNC-Lavalin/Vanier saga is only one story. Much of it makes no sense, so what I am trying to "find out" should be obvious - what is the real story? Where does the truth lie amidst all the contradictions? As per Peters and the Australian Army, as I told you before it was the Australian Broadcasting Corporation that contacted the Royal Australian Army, who informed them that there was no record of service for Mr. Peters. Im from Cambridge,Ontario. Gary Peters was probably my best friend? I say that because he was always there for me in everyway. He loved my son and daughter like his own. I am probably one of a select few that Gary confided in. Gary is probably the most loyal person ive ever incountered? I understand very well there are questions that people want anwered? contradiction in truth? all things i know you will never get out of Gary. Just for the simple fact he is to loyal and believes in brotherhood,respect,and most important HONOUR. my take on all this is simple. Gary contracted himself out to protect his clients at ALL cost. He did so very well. So well it actually infected his life personnally. Gaddoffi became a friend to Gary, which from personnal experience means Gary rides with you til the end. Loyal. I think in the BIG picture Gary really only had one interest in all this? not money,not fame,he wanted to make sure his friend Gadoffi was safe. Period. lies may had to be told? people may had to be decieved? but Gary was so caught up in things on a personnal level he only seen what had to be done. Keep Gadoffi safe. in the end he did his job. I know a hell of alot about this then any reporter ever could. I spent hours listening to Gary confide in me. I watchef him crumble and weaken to the point he was hospitalized. All because he met Saadi and saw him as a human and friend, he helped his friend. he was my friend. he was a best friend. you can jibber jabber all day long but Gary isnt anytjing other then a contractor who gets the job done. sure he might fudge here and there? Who doesnt? lol.